Many types of foot conditions can only be treated effectively through the use of certain procedures that may be uncomfortable or painful. Fortunately, anesthesia is available for these types of procedures. Anesthesia allows your doctor to operate on you while you stay comfortable and free of any pain. There are different types that can be used for different things. 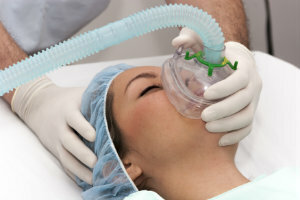 Anesthesia is the reason you can be operated on without any pain. The job of your anesthesiologist is an important one: to keep you feeling as comfortable as possible before, during, and after your procedure. They are also responsible for monitoring your vital signs during an operation. An anesthesiologist will be alerted to any other medical conditions you may have, including diabetes. They are unique in that they are able to treat both sudden medical emergencies during a procedure while also caring for your chronic conditions. An anesthesiologist is one of the most important components of your procedure. Without them, the procedure wouldn’t be able to happen. General anesthesia: This is what people most often think of when they think of anesthesia. It’s when you are put completely under and lose consciousness. Regional anesthesia: This type of anesthetic is used to numb an entire area of the body; for example, an epidural is a regional anesthetic. Local anesthetic: This is simply when a part of the body is numbed. You are still completely awake for the procedure but are unable to feel any pain. This is a commonly used anesthetic for bunionectomies because the patient can go home after the numbness has worn off. Nerve blocks: The category of nerve blocks is also very large, but two commonly seen ones in the field of podiatry are hallux blocks (used for ingrown nail removal) and ankle blocks (used during midfoot surgery). There are many other types of anesthesia which haven’t been all covered here as well. When you talk to your doctor you will be able to be assess your options and figure out what is best for you and your unique situation. One issue to be aware of with anesthesia is Post Operative Nausea and Vomiting (PONV). PONV may occur directly after surgery, but sometimes it can wait to display symptoms. If you have a family history of PONV, let your anesthesiologist know so they can adjust your medication. They may also administer an anti-nausea medication before you are put under. After the surgery is over you can also expect that your anesthesiologist will remain as your caregiver until they determine that you are fit to leave the recovery room. The decision to undergo surgery is a big one, but rest assured that anesthesiologists do their best to make sure that you are as comfortable as possible during the entire process. If you have questions about surgical procedures please call Dr. Peyman Elison and Dr. Viedra Elison at (623) 584-5556 to schedule an appointment with us at Fixing Feet Institute in Surprise, AZ. Let us be on your team so you don’t feel alone in making the decision to do what’s best for your feet.